This is the perfect vehicle if you plan to travel on the F roads in highlands of Iceland a lot. The size of the car and wheels makes it easier to cross rivers and drive on rugged roads. 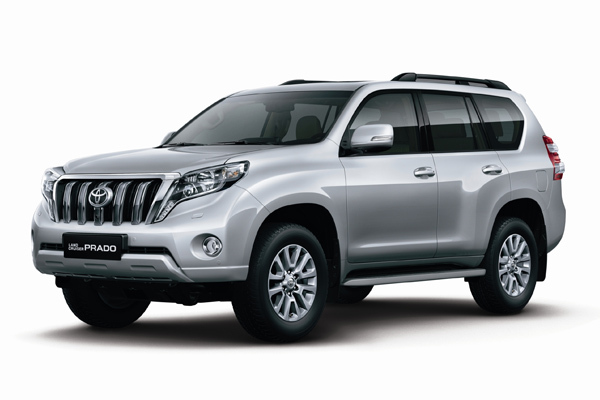 Also a great choice if your group does not fit in a regular 4x4 car as this is a 7 seater. Please note that if you have the 2 seats in the back down there will be very little room for luggage. All our LandCruisers have automatic transmission. All the cars in this car group run on diesel. The Toyota LandCruiser can be driven on the F roads in the highlands of Iceland. The van was perfect for our group of six. We had no issues with the vehicle on our magical trip around Iceland.